Join the discussion on our forums! 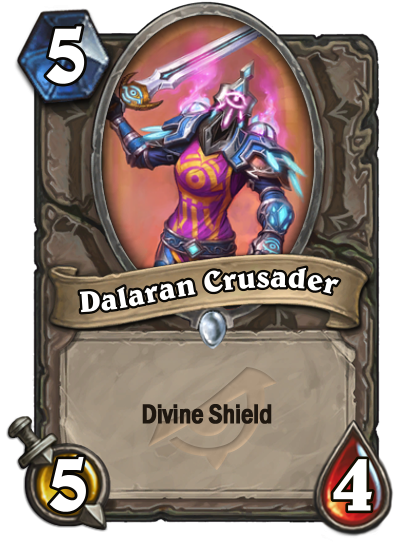 Come discuss Dalaran Crusader over in our dedicated Dalaran Crusader discussion topic. "CAPTAIN, CAPTAIN" you hear the private shout. "THEY'VE COME TO TAKE THE HOLY LAND". "Who has come, private?" you look out the window to see a sea of blades and crosses approach with the sun on the horizon. You know who they are, you know why they've come. For in the wind, you hear the words. "Deus vult"
That looks super solid in Arena. Maybe it even sneaks its way into some Constructed deck.